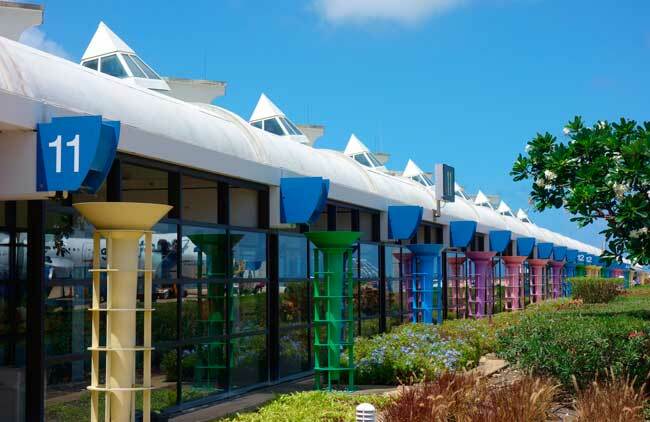 On this website you can find useful information about Grantley Adams International Airport: Arrivals, Departures, Terminal information, Parking, Car rental, Transport, Accommodation, Amenities and Services, among other information. Plan your travel to BGI airport with the information provided in this site. 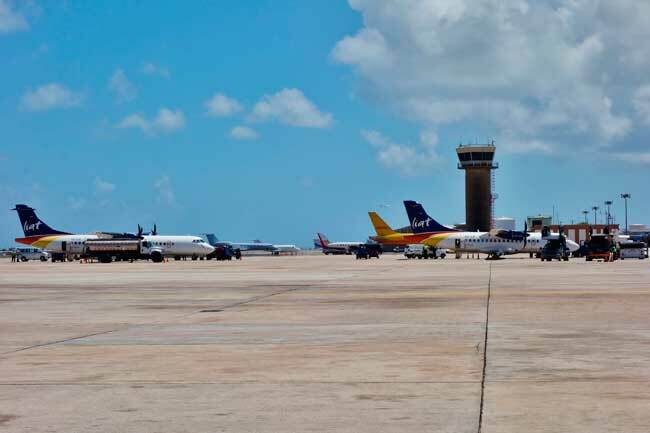 Grantley Adams International Airport (IATA: BGI, ICAO: TBPB) is the main international gateway of Barbados, also being a major transportation hub in Eastern Caribbean. The airport serves daily direct flights to Central America, Europe, Canada and the United States. It is located in Seawell, Christ Church, at 16 kilometers of Bridgetown downtown. Grantley Adams Airport it is also known as Seawell Airport given its location. 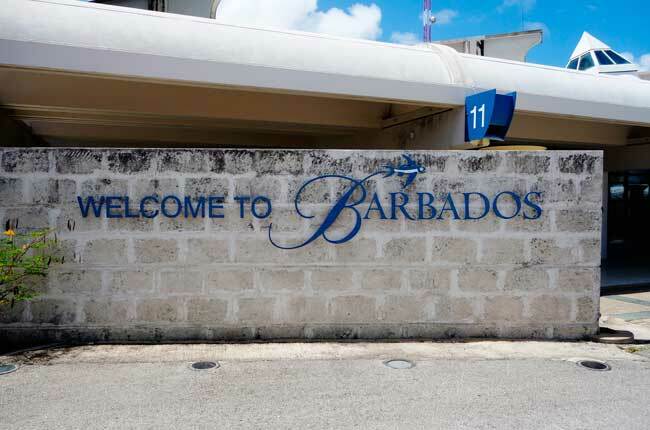 Bridgetown Airport is the main international gateway of Barbados. Bridgetown Airport has two passenger terminals under the same roof, like a one large terminal. Bridgetown Airport serves daily direct flights to Central America, Europe, Canada and the United States. Bridgetown is the main city of Barbados. Take a walk on the port seaside, you’ll get magnificent views! Barbados Parliament is the second oldest parliament in the British Commonwealth! About the name: Grantley Adams Airport was named after the first prime minister of Barbados, Sir Grantley Herbert Adams, after its independence from UK. Bridgetown Airport was the 8th busiest airport in the Caribbean region in 2016. Bridgetown Airport handled 2,086,209 passengers in 2016. Bridgetown Airport consist of two terminals within the same building as to seems a single large terminal, which are connected by an open air area with some local vegetation. Transfer between terminals is done by a pedestrian atrium. Those terminals are for international and domestic services respectively. Ground floor: Arrivals and Departures. Mezzanine level: Restaurant and services. Bus: Frequent local government buses serves Bridgetown Airport to several locations within Barbados. Taxi: Get to Bridgetown downtown within 30 minutes from Bridgetown Airport. Car rental: To truly enjoy your experience in Barbados, the best way to move around is clearly by renting a car. At Bridgetown Airport there are plenty of car rental partners available to fulfil your needs. You can also book your car through our searching engine! 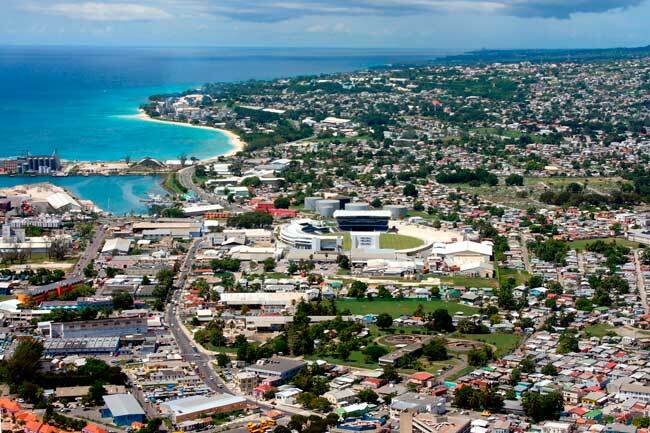 Bridgetown is the largest and the capital city of Barbados, which is located on the southwestern coast of the island. It was formerly known as The Town of Saint Michael. The city was founded in the current location by English settlers in 1628. 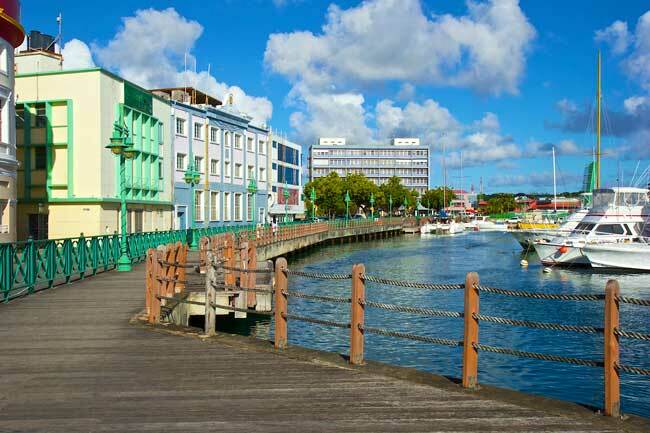 Given the history that Bridgetown has, the Bridgetown old town and its Garrison are a World Heritage Site of UNESCO. 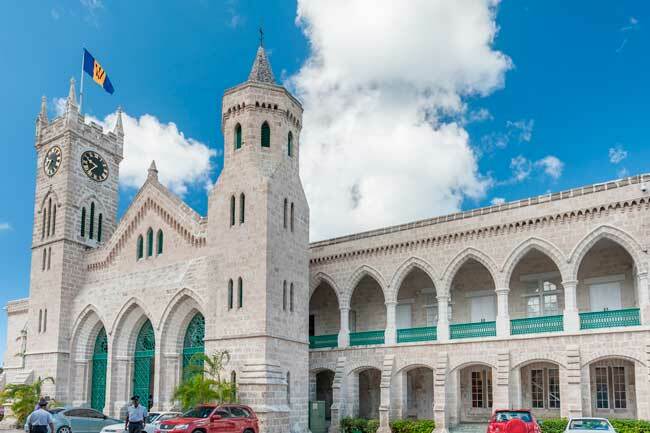 As interesting sights, you shouldn’t miss the Barbados Museum, the Careenage, St. Mary’s Church and the Parliament. If you wish to take a walk through Bridgetown, you can do at the port, it is a nice walk and you’ll get cool views.